Add-on extensions for VirtueMart shopping cart component. 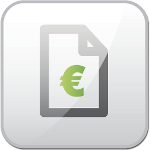 Payment module for Virtuemart enables to use Global Payments Europe (PayMuzo) as payment method. Customer may use gateway from Global Payments Inc.
Joomla component that enhances VirtueMart EU tax mode functionality by online web services based check of EU VAT ID validity towards European Union registry. SEO budle of JoomSEF and VirtueMart SEO Extension. Offers SEF URLs for Joomla! and VirtueMart, automatic metadata generation, adjustable and customizable VM URLs, etc. Visualizes your VirtueMart e-store sales and customer statistics and produces business reports in a form of attractive and lucid Flash charts.